CLOSE OUT community zoned for GREAT SCHOOLS! SAMARA LAKES has less than 10 New homes remaining! The Palm plan features: 1st Floor Owners Suite, with Owner's Tub and Frameless glass shower. Bay Window at the Cafe. Formal Dining Room. Crown moulding throughout. Powder bath. Kitchen features include: ''Ivory Harvest'' cabinets, Granite countertops, farm sink, pendant lights, a large island, range, and a walk in pantry. 18 x 18 tile throughout the main areas and Covered patio. 2nd Floor Loft with wood handrail and metal balustrade. Amenities include Large Pool, including a Splash Park for the little ones in your family, Covered Patio for Parties, Basketball Court, Children's Playground, and Expansive Fields for pick-up games of all sorts! All with an affordable HOA and No CDD Fees.Samara Lakes is almost complete with less than 10 New homes remaining to sell! 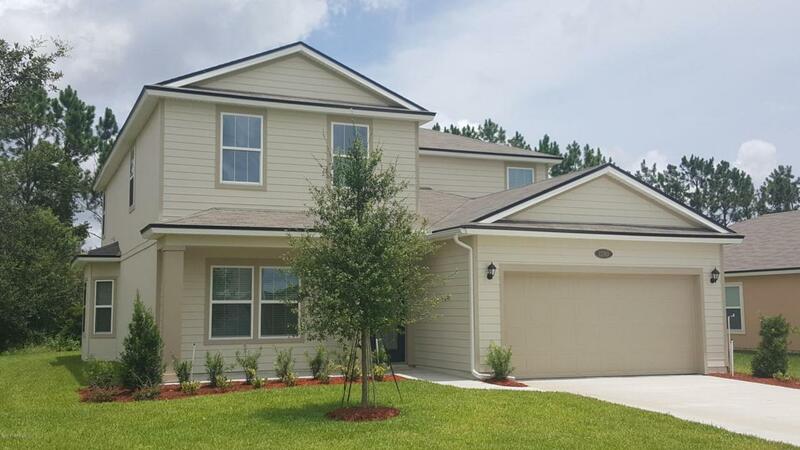 This family-friendly community located in the World Golf Village area is highly desired St. Johns County. Conveniently located to I-95, Samara Lakes is just minutes away from every day stores, historical downtown St. Augustine, fantastic shopping, dining, great golf courses, and top rated schools.